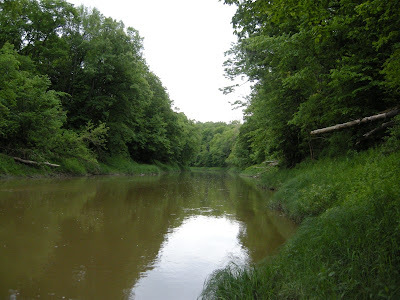 While kayaking the Black River in Port Huron State Game Area today, 13 June 2009, I came across an unfamiliar song which sounded somewhat like (though clearly different from) the latter portion of the song of a Field Sparrow- in other words like a "bouncing ping pong ball" but without the slower lead in typically given by Field Sparrow. 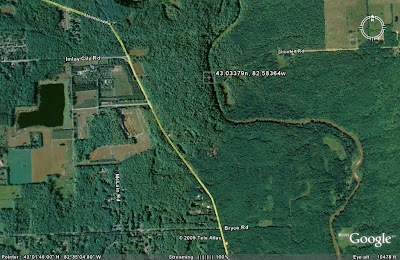 But the song was coming from a largely deciduous riverine forest canopy (with some nearby upland hemlock and white cedar)- not the kind of place you find territorial Field Sparrows! 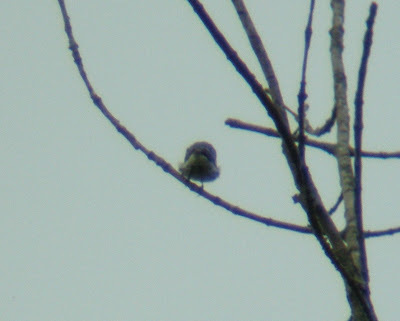 With some effort I was able to get limited viewing of the bird with 8 power binoculars in terrible backlighting as it sang at the very top of the canopy, probably 60 feet high or more. 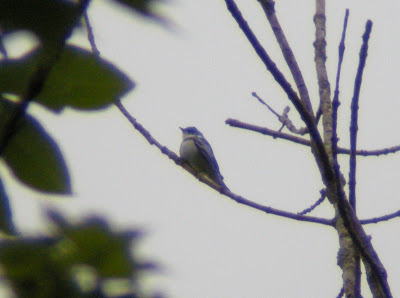 I was able to see that it matched fairly closely the plumage of a male Cerulean Warbler, except that it appeared to have white "panels" on the greater coverts (because of the viewing conditions it is possible that what I interpreted as a greater covert panel was due to fluffed out flank feathers or some other cause), similar to the pattern on an adult male Blackburnian Warbler. 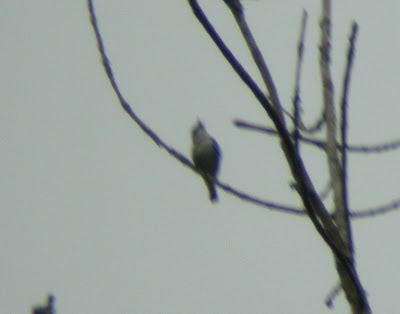 It had the necklace of a Cerulean Warbler, heavily streaked flanks, and otherwise fully white underparts, with bluish crown and face and upperparts. The tail was short, appearing to my eye just like that of Ceruleans which I often see in similar conditions. I was unable to assess the presence or absence of streaking on the upperparts. Here are the best photos (digibinned with Nikon Coolpix p5100 through Leica Trinovid 8X32 binoculars) and video clips (the song is clearly audible twice in both clips). My feeling on this bird was that it was likely a hybrid Cerulean Warbler X _______, with perhaps Blackburnian Warbler as the other parent. But this is of course highly speculative. 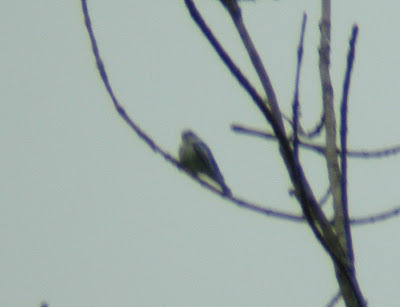 I suppose there's an outside chance that this is a normal Cerulean Warbler with a strange song, though if it learned this song I am not sure from whom it learned it, as I know of nothing that sings like this. All opinions appreciated! More on the strange "Cerulean"
What age is this Common Tern?